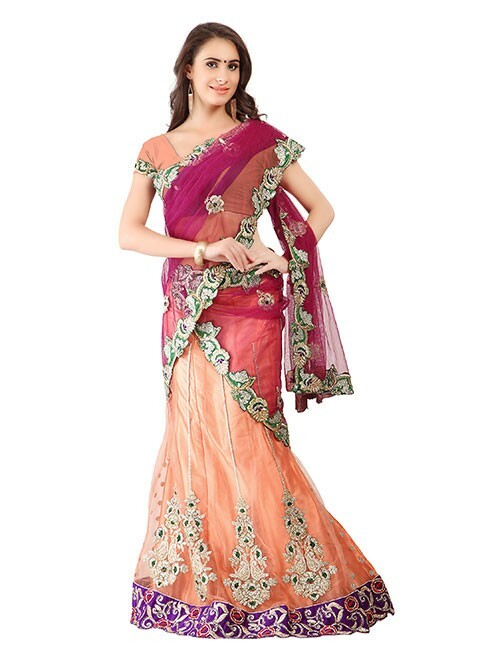 Here Is The Bridal Lehenga Choli By grabandpack. Ideal For wedding, traditional. Our Lehenga Choli Are Made And Stitched Using High Grade Fabrics. 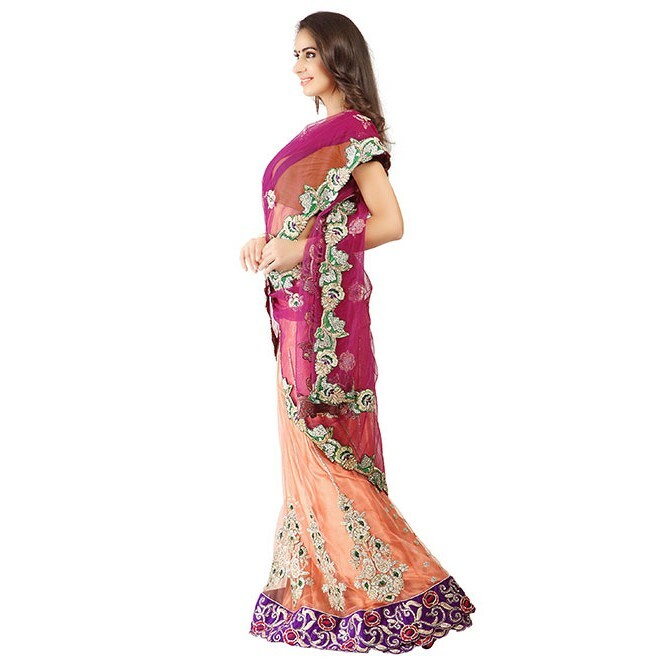 The Work in this lehenga Cholis is High Quality Hand Work Under The Strict Surveillance Of Our Well-Versed Executives..Semi stitched Net bridal lehenga in Peach colour which is adorned with heavy zari,stone and embroidery work. 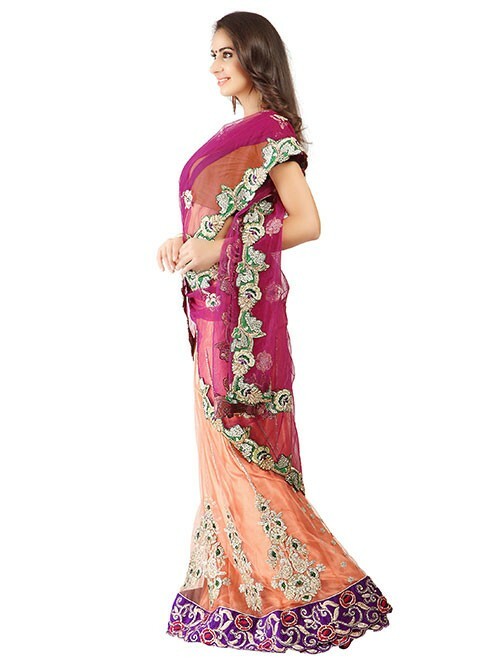 Accompanied by matching net dupatta in Maroon colour and choli in Peach colour. You can customize the waist length from 28 to 42 inches and the hip length from 32 to 46 inches.Buy this Beautiful Red Colored Bridal Net Lehenga with Net Dupatta.